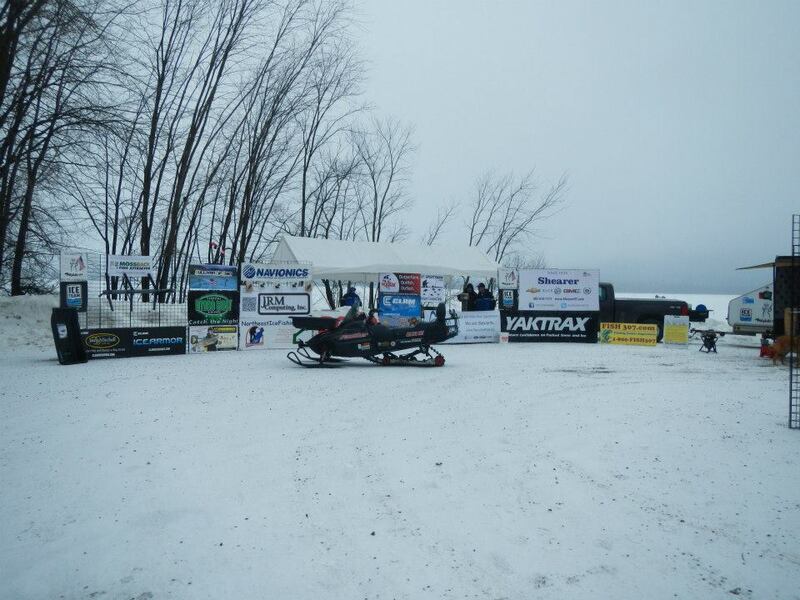 The third stop of the Vermont Sportsman Hardwater Tournament Series was today. With a walk time around 6:10 am, I was on the road at 3:30 in hopes to be early enough to get walking at the start of the line. The weather was predicted to be calm with a chance of heavy snow as the day wore on. Since the last tournament, there was a big change made to the way that these tournaments are run. Perch were added to the acceptable species listed towards a 6 fish limit. In the past few events the bite has been slow and many people came in without their limit and the bag weights were slim. Perch were added in hopes to allow people to take a different approach and create an event on par with the many others throughout the country. This change also adds potential to expand the competitions into inland ponds in the future. To start the day, I was on a weedbed in 3-9 feet of water. Within only 10 minutes of the start time, I had my limit of 3 sunfish and 3 perch! My fish weren’t huge but for the rest of the day I could only upgrade what I had. To start the day, I had on all white with a red maggot. The fish were tucked down into the weeds pretty well first thing but were easily worked up above to feed. As the day wore on, the snow moved in and I started moving around looking for better fish. After a few big moves throughout the boundaries, shop was pretty much set up in a small area with several other fishermen. There were fish in many of the holes but most of them were small. The reason to stay was that it was a corridor that crappie and perch were using. For the remainder of the day, I walked in small circles working the holes over and over. 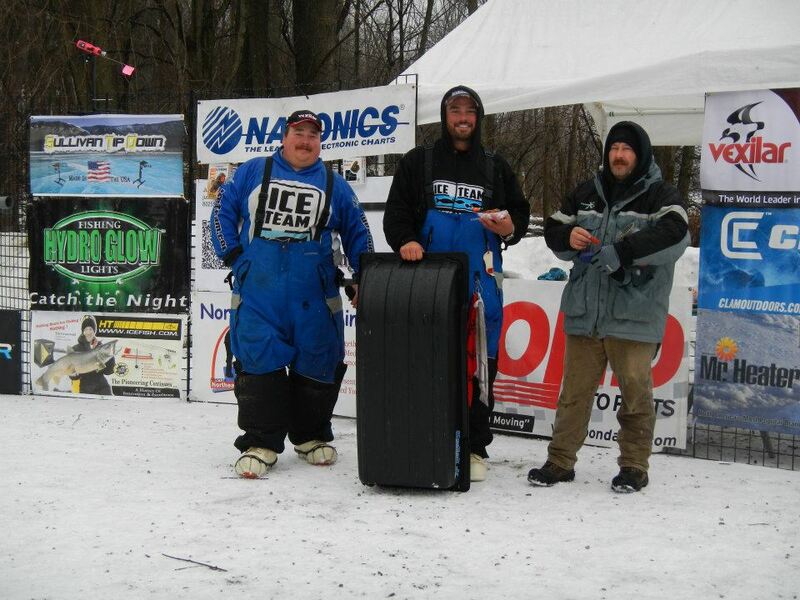 I was able to upgrade a few of my fish but still finished in 11th with a weight of 1.87 pounds. My bag was composed of 3 pumpkinseed, 2 perch, and 1 crappie. At the weigh in, I scored a new small sled in the ticket drawing for days where I have to pack light. I was content with the fishing today and we will both be back with the guys from the VSHTS helping with a kids clinic on Mallets Bay tomorrow!